In a new study published in Pediatrics, researchers at the University of Texas think they have found the reasons why; the introduction of PCV13 (pneumococcal) vaccine in 2010, decreasing rates of smoking exposure, and an increase in breastfeeding rates. 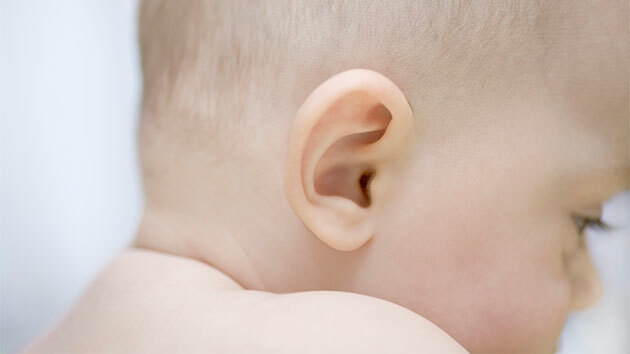 (NEW YORK) — Ear infections are one of the most common reasons babies visit to the pediatrician – that may change, though, because these infections are becoming less common. The researchers looked at upper respiratory infections (the common cold) and ear infections in more than 300 infants between 0 to 12 months of age. The overall incidence of both has decreased when compared to studies published in the late 1980’s and 1990’s. There was a big decline in ear infections in children at 3 months of age (decreased by more than half), a 10 percent decline for 6-month-old babies, and a 15 percent dip in children at 12 months old.